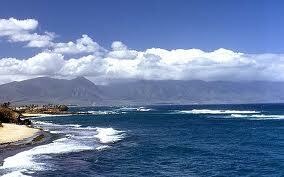 There is a powerful, magical magnetism that draws surfers and ocean lovers to the North Shore of Maui in the winter. An equally strong pull brings paddlers, standup racers, wind and kite-boarders in the summer. All year long the beaches and local surf breaks are alive with adventures for both athletes and beach-goers. 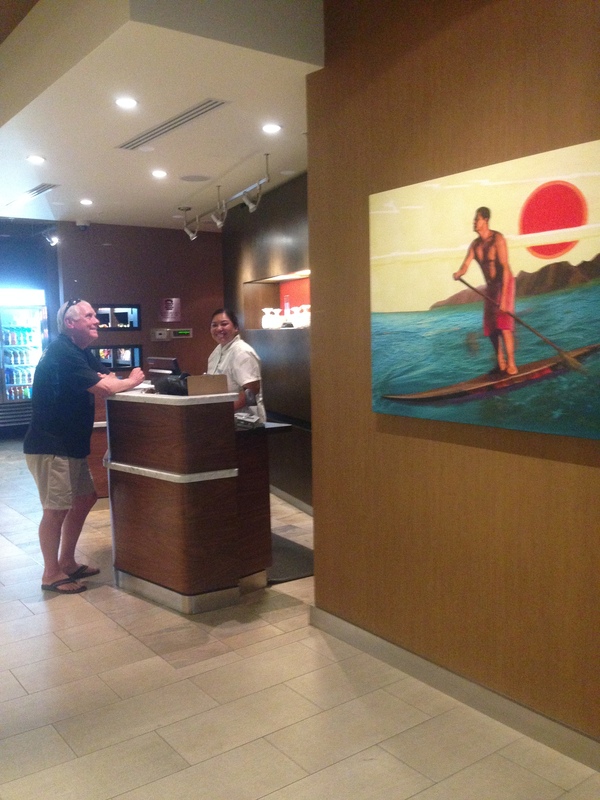 We recently had our third stay at the Courtyard Maui Kahului Airport – our home away from home during the 2014 Olukai Ho’olaule’a. It’s located on the shores of paradise right off the runway – convenient, modern, impeccable and quiet. 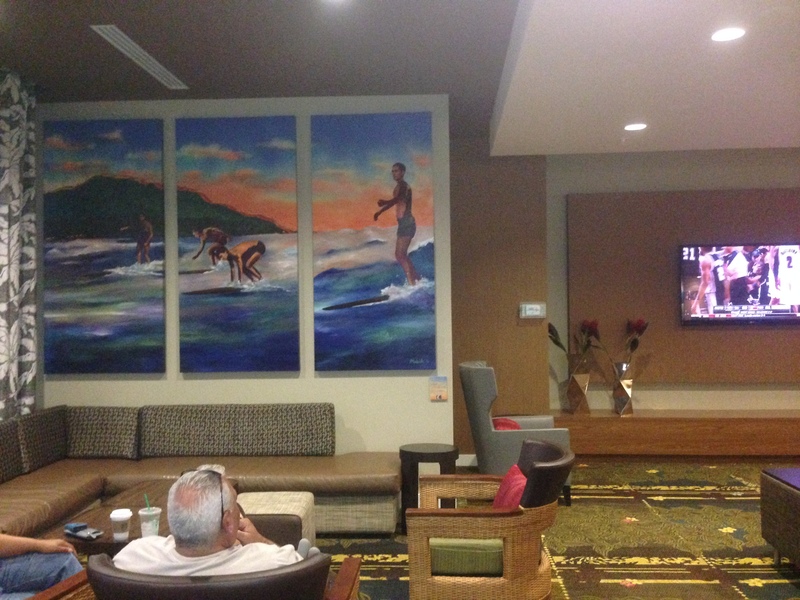 This Maui airport hotel features the latest, contemporary Courtyard hotel design and exclusive amenities. Our Courtyard “home away from home” has much more than the top quality accommodations and service we surfers, SUP paddlers and water athletes need to really live the aloha spirit of the islands. 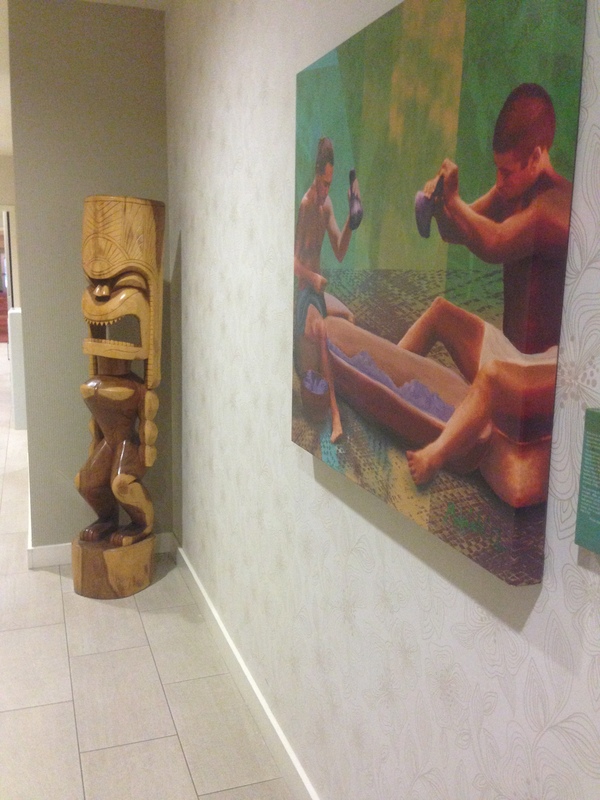 The moment you enter the stunning lobby, fine art images and decor surround the senses. How can it be that each staff member we encountered had a ready smile, efficient skills and in-depth local knowledge. We had so many dining experiences at “off the beaten path” restaurants filled with more locals than visitors. 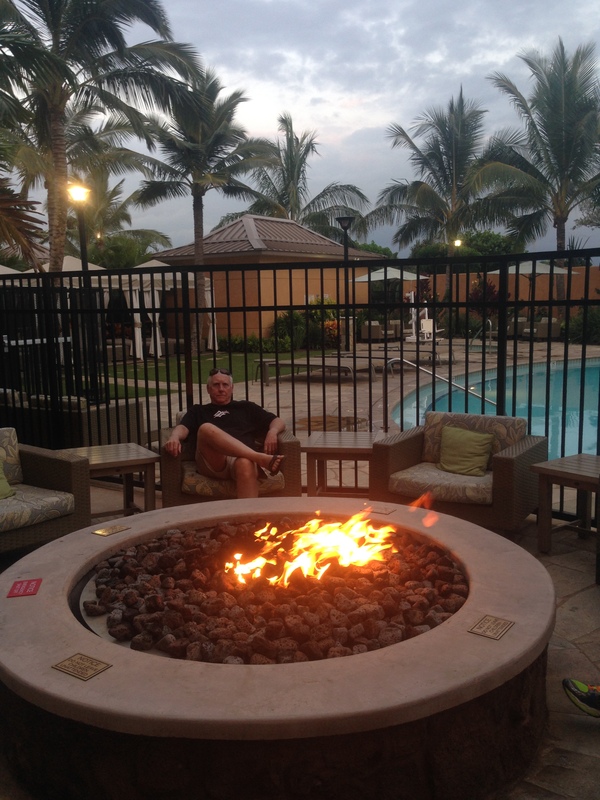 In addition, we enjoyed a few beers by the outside fire pit chatting with other guests. Breakfast in the Courtyard Bistro? Easy, quick and delicious! After a day at the beach or in the surf nothing feels better than a good, hot shower. We enjoyed the elegant, modern facilities, plush towels and – when we fell into bed at the end of great days – high count, crisp sheets and comfortable bedding. Yes, for convenience, great location, value and a place to live the aloha life during your stay on Maui’s North Shore give the Courtyard Maui Kahului a call.